Galizieraz egiten den kantu inprobisatua da. "Enchoyada" deitzen zaie Galizian kopla-saioei baina askoz ezagunagoa izanen da "regueifa" terminoa. Hitzaren jatorrien arabera, antzina festa berezi bat antolatzen zen ezkontide berrien izenean; bertan ardoa eta eta "regueifa" deitutako ogia jaten zen eta gudu poetikoko garaileak ogia eramango luke etxera. Kantuan ibiltzen direnei "regueifero" edo "cantadeiro" deitzen zaie. Egun emakumeak ere ari dira kantuan. Neurriz, "regueifa" zortzi silabako kopla da. Galiziako kantarien bertuten nagusiak bat-batekotasuna (abiadura, alegia) eta erantzuteko gaitasuna dira, inolako eten edo musika-tarterik ez dutenak. Egun Bergantiños (A Coruña) da regueiferoen bilgune nagusia. 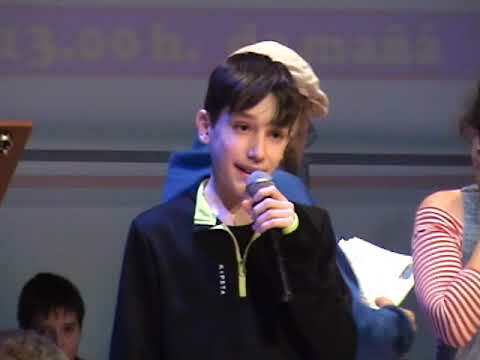 "ORAL" elkarteak regueifa bultzatzen du; eta egun transmisio bideak ere irekitzen ari dira. 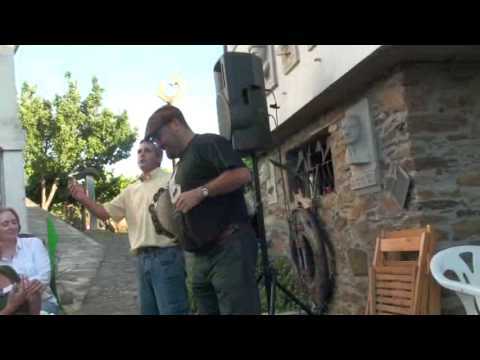 This is improvised song performed in Galician. 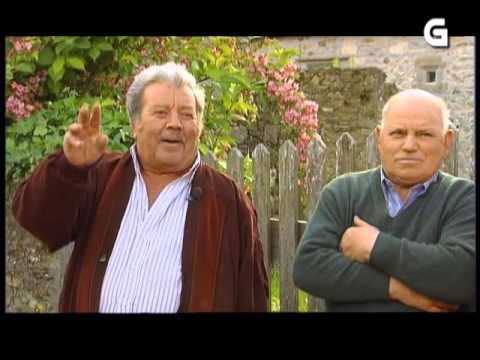 In Galicia the couplet sessions are known as "enchoyada" but the term "regueifa" is much more familiar. According to the origins of the word, in olden times a special feast used to be organised on behalf of newlyweds; in it wine was drunk and bread known as "regueifa" was eaten and the winners of the poetic battle used to take the bread home. The singers are called "regueiferos" or "cantadeiros". Nowadays women also sing. As regards metre, the "regueifa" is an eight-syllable couplet. The main virtue of the Galician singers are spontaneity (in other words, speed) and the capacity to respond; it does not have any musical interludes or sections. Right now, Bergantiños (A Coruña) is the main centre of the regueiferos. The "ORAL" association promotes the "regueifa"; and today the means for transmission are opening up, too. 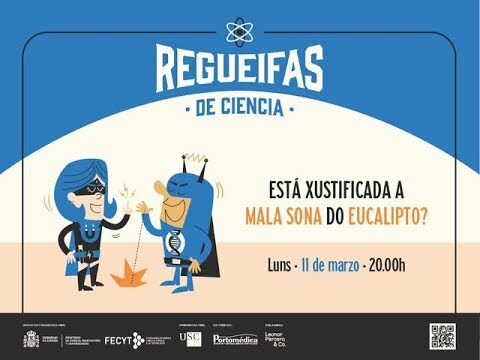 Regueifas de Ciencia&#39;18: Está xustificada a mala sona do eucalipto?